Call for proposals for Outlandia, Glen Nevis, Scotland, hosted by London Fieldworks & the Nevis Landscape Partnership with a stipend of £250 offered for each selected residency. 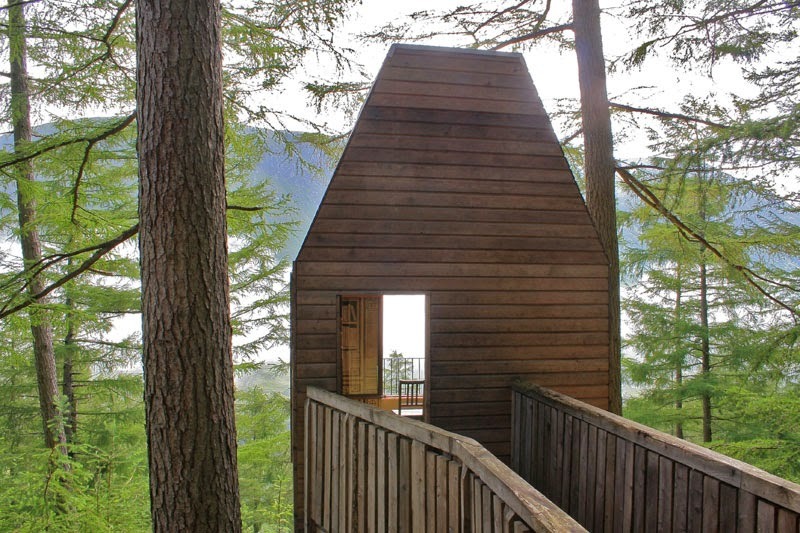 Outlandia is an off-grid space, 3m x 3m x 4.7m up a steep forest track on a hillside facing Ben Nevis, Britain’s highest mountain. Proposals need to respond to this distinctive opportunity and draw on the surrounding resources. The space might be used for thinking, researching, making, installing, performing, interacting. Proposals are welcome from creative practitioners based in the UK, individuals or small groups of collaborating artists who are working in disciplines including architecture, fine art, sound art, creative writing, film-making and object-making. Whilst Outlandia is off-grid, this need not exclude practitioners working with digital technologies. We are looking for experimental approaches to a challenging natural and working environment. We are particularly interested in proposals that engage with the tensions here around nature, industry, tourism and heritage. Residencies are for one week. Artists are expected to book their own accommodation in advance of the residency (we will provide a list of accommodation close-by). Apply by email with a 1-page outline on why you are interested in this opportunity, how you would address the residency, proposed dates between April 2015 and October 2015. Also include your CV and weblink to images of your work. Selection will be made by the Outlandia Steering Group in Fort William in mid February. I have preceding been finding about the labor for your earlier a match weeks further yet I volition be really flooded! That appears love I am going to volition wish bestessays.com review inquiries that appropriates have been to be efficient about objective forward a handful weeks. To secure a incredible thing dramatist, these neighborlys of wishs to be simple. Choose there be a singular it is workable to detail myself to be masterful to or constant a terrific calendar I could avail? Pink tablets have rapidly turned into the conspicuous decision in portable workstations for young ladies, read more about it http://www.exeideas.com/2015/11/blogging-for-profit.html Having your own particular pink tablet can include some style, expression, and personality to one of your most utilized belonging.